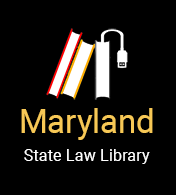 Mid-Shore Pro Bono provides legal assistance to individuals in throughout the Eastern Shore. If you have a legal problem that involves any of the following. Mid-Shore Pro Bono can help you find legal assistance. You will be screened for eligibility based on your income and type of legal problem. We do not provide legal advice over the phone. We will mail you an application. Once we receive your completed application, $25.00 non-refundable application fee (cash or money order ONLY) and proof of income we will review your case for eligibility and if determined eligible, we will start looking for a volunteer lawyer. Because we rely on the generosity of volunteers to accept a case when they are available, we cannot guarantee we will find a lawyer for every client. If you have a trial or hearing scheduled, call us as soon as possible to increase the chance of us finding you a volunteer. Do not wait until just before your trial or hearing. We cannot handle emergency situations.